What Is Cryptocurrency Mining And How Does It Work? In simple terms, cloud mining is a process of mining of any cryptocurrency with a help of shared processing power. This hash power is produced by hardware of a remote datacenter. Even though you pay for this shared power, it’s still much cheaper than trying to run your own hardware and software. Cloud mining allows people who don’t have the hardware, software or technical skills to participate in the process of cryptocurrency mining. All you need is a computer and an Internet connection. 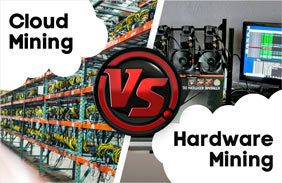 As a miner you pay the cloud mining company to rent its hardware. Your earnings will depend on the amount of hash power you buy. It allows you to start mining straight away as soon as you buy GH. You don’t need to wait for the delivery of the hardware. You’ll never be responsible for the cost of faulty equipment and hardware failure. Hardware is maintained by skilled technicians ensuring minimal downtime. You don’t need to set an equipment which generate an excessive noise and heat. There is no need for space to store the hardware in your house. Your electricity bill doesn’t escalate as a result of your cryptocurrency cloud mining activities. What Do You Need To Pay Attention To? The cloud mining industry is full of scams, hence you should ensure that you are dealing with trusted cloud mining company. Cryptocurrency mining profitability is not a get-rich-quick scheme, be careful of people who promise profits that are too good to be true. Check the cloud mining company you choose. Some of them don’t give users a full control of hashing power and the mining pool they select. As you can see from the list of advantages above, cloud mining has a number of benefits compared with traditional mining where you have to buy and install your own mining equipment. Using your own hardware makes cryptocurrency mining more expensive. You have to buy the mining rig, maintain and repair it and pay for electricity it consumes. Hardware mining doesn’t guarantee a constant hash power, your mining process depends on the equipment efficiency and environmental conditions. Besides, the hardware takes some space and makes a lot of noise. Like any other investment, making a profit from cloud mining will need you to put effort. Cloud mining services offer you the advantage that you can become part of a pool and work with other miners. If you work in a pool, you’ll need to accept that profits are also shared. Engaging in cryptocurrency mining, just like in any other type of investment, has its risks. Your mining profitability depends on the choices you make. 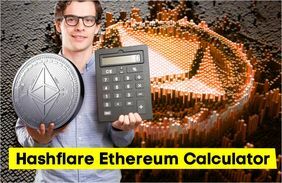 Most of the cloud mining websites have calculators which you can use to get an idea of the profit you can make. To get a better idea of any particular service, look through social media networks and users’ reviews. You may draw conclusions based on the examples of experienced miners. A possible factor that increases cloud mining profitability is that you don’t have to spend a lot of capital on getting mining equipment. The other costs such as electricity and cooling are shared with many other users. The safety and efficiency of the equipment is managed by the cloud mining service. It’s important to select trusted cloud mining companies if you want to safeguard your investment. Below are some factors you need to look at if you want to choose the right cloud mining service. Be careful of those companies whose promises sound too good to be true. For instance, if you find someone who promises you anything more than 15 percent within a short period of time with certainty, then you’re dealing with a scam. While top cloud mining websites may give you an idea of the amount of profit you can make, you still need to know that the result will be better or worse than promised. 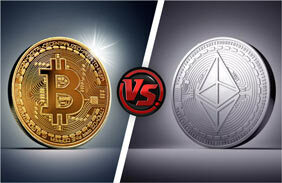 Your income depends on the cryptocurrency exchange value and the difficulty of mining process. Reliability is an important factor to consider when selecting a cloud mining service. One way of checking the website’s security is to look at the number of miners using it and how long it has been operating. There are no services can promise that they have no downtime at all but some are certainly better than others. Below are brief reviews of some of the credible cryptocurrency mining websites that have been in the business for some time and have accumulated a big amount of users. World Mining is the promising and rapidly growing cloud mining company founded in 2017 and registered in Britain. It focuses on Bitcoin and its popular forks, including Litecoin. The company offers 5 servers with different computing power. The promised profits are up to 400% for the investment period that may last from 9 to 12 months. All this is possible because of the powerful algorithms, impressive hardware base, and smart management strategies. HashFlare may not claim to be the leading cloud mining company but it’s certainly one of the best. The company was established in 2014 by HashCoins and located in Edinburgh Scotland, UK. Since this time the kind of growth experienced by the company has not only surprised the industry; it has surprised the people at HashCoins themselves. For instance, in 2017, the service’s user base had grown from less than 500,000 to 1,300,000. Hashing24 is a resource that gives users the opportunity for cryptocurrency cloud mining from 2015, by leasing BitFury equipment — the leader of mining ASICs production market. The data centers are located in Canada, Norway, Georgia and Iceland. This service offers termless and 36-months mining contracts at a price from $19.90 per 100 GH/s. Hashing 24 is a reliable cloud mining service that brings profit without delay, and this is one of the most important characteristics for such projects. What is the Best Cryptocurrency to Invest In? Selecting the best cryptocurrency to mine can be tricky because it is hard to predict the direction in which the market will go. But However, certain currencies like Bitcoin, Ethereum, Ripple, and Litecoin have continued to sit at the top of lists of best coins to mine. Bitcoin is one of the best digital currencies to mine. However, if you select this digital currency, you have to be prepared to experience the turbulence of the digital currency mining space. For instance, the value of the currency grew almost 2000 percent in 2017 only; even though this would be followed by a sharp fall. It’s currently making its way back above $10,000. One of the advantages of using cloud mining services is that most of them have different referral programs. The reason why these companies pay you for referring people to them is that the more people come to them, the more money they make and this grows their brand. HashFlare gives you a link and anyone who joins using your link gets you a 10% bonus on every purchase they make. Inviting a friend to the Genesis site earns you free upgrades. Eobot offers 1% of the earnings made by each user you refer to the service. With OXTBC you get 25 percent of the income the person you refer earns within the first week. Cloud mining is a concept which is attracting the attention of many investors. While no one can promise that you will become a millionaire on the very first day you start, it’s clear that some of those who have taken the risk of putting their investment there in the last few years have made handsome profits. You too can do, as long as you understand what it all involves and that profitability, like everywhere else, depends on due diligence and making the right choices. 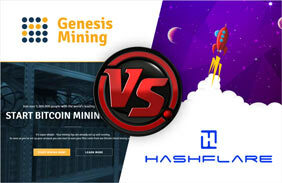 HashFlare vs. Genesis Mining. Which Service is Better? Bitcoin vs. Ethereum. What is the Best Cryptocurrency to Mine?